Author(s): Freedgood, Julia, Pierce-Quinonez, Marisol, Meter, Kenneth A. 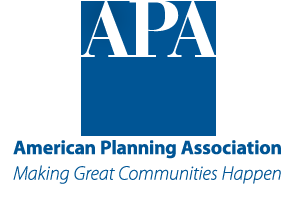 Food system planning is an emerging field engaging planners and planning organizations, civic leaders, citizens, food policy councils and others interested in creating more sustainable food systems. Planning practices are being developed to address the complex soil-to-soil food system, which spans production to consumption to reuse and recycling of waste. 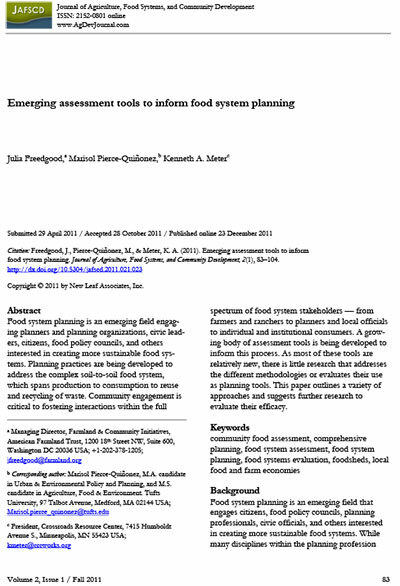 This article outlines a variety of approaches and suggests further research to evaluate the efficacy of assessment tools used to inform the food systems planning process.